I don't know where the phrase "Saturdays are for the boys" started, but I do know it needs to stop. These words have been everywhere this summer - Instagram captions, Snapchat stories, banners hanging from the rafters of frat houses nationwide. Honestly, the only useful thing about this motto is that it serves as a major red flag when you meet guys at parties. If this last year has taught us anything, it's that the women of indie pop are stronger than ever before. Fearless, unapologetic femininity has reached all spheres of pop culture, and when female artists embrace it wholeheartedly, they create some of their most powerful work. This weekend, challenge the fragile masculinity of college students everywhere with these 10 fierce female artists – because Saturdays are for the girls. Norwegian pop vocalist Sigrid may not be on everyone's radar yet in the U.S., but she's been a rising star in her home country since 2013. "Don't Kill My Vibe" has been steadily climbing the charts this summer, and for good reason: it's the perfect anthem for 2017. There aren't many things better than the rush of confidence that comes with telling someone not to kill your vibe. Play this song before going out with your girls and you'll feel unstoppable. Okay, technically Mura Masa isn't an empowering female musician, but this collab with French artist Christine and the Queens still deserves an honorable mention. Pop music's next best producer has worked with everyone from Charli XCX to Damon Albarn of Blur, and he hasn't even released a full length album yet. "Second 2 None" is an unexpected banger with an irresistible hook; good luck staying off the dance floor when those steel drums kick in. Maggie Rogers' discovery story sounds way too good to be true, but the former NYU student definitely lives up to the hype. I mean, if your demo leaves Pharrell Williams speechless, you've gotta be the real deal. Now That The Light Is Fading is packed with percussion and just the right amount of electronic production beneath the traditional folk storytelling. "On + Off" is one of Rogers' early standouts, an addictive mid-tempo track with layers upon layers of dreamy vocals. It's been three weeks and I'm still not over Lorde's glorious sophomore record. Melodrama has a song for every occasion, especially those neon nights spent in crowded clubs. Lorde took a four-year hiatus and came back an even better songwriter than before. "Supercut" is certified pop perfection, filled with the vibrant idealism of young romance. What's better than a song that makes you want to dance and cry all at once? New Zealand's electro-pop vocalist Kimbra might be best known for her feature on the song no one could get out of their head in 2012: Gotye's "Somebody That I Used to Know." Her debut record Vows proves her solo work is totally underrated. "Warrior" is a high-energy, electro-pop track that feels like the perfect mix of Grimes and Foster the People. Not surprising, since FTP's Mark Foster features on back-up vocals. Banks made an unforgettable impression on the alt-pop world after her debut record in 2014, but her sophomore album deserves all the awards. The Altar was arguably one of the top ten records of 2016, an unbelievably honest compilation of dark pop hits. "This Is Not About Us" is dangerously danceable and overflowing with sleek, icy beats. 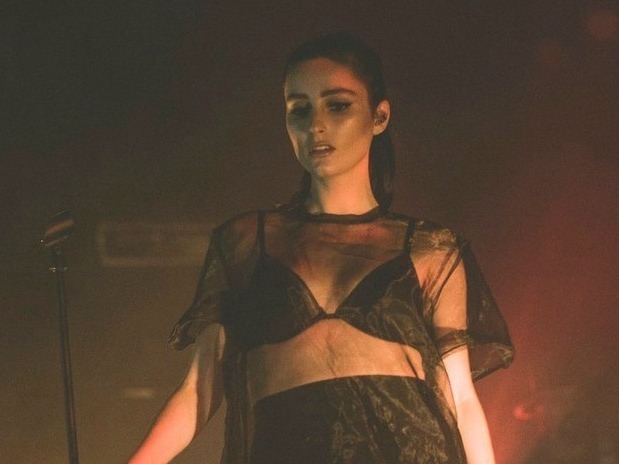 Banks is the bold, badass femme fatale we should all aspire to be in 2017. When her debut album dropped in 2013, Sky Ferreira was a bored suburban teen's dream come true. A perfect blend of 80s pop and 90s grunge, Night Time, My Time was the first project that really demonstrated this model/actress/singer's potential. At her worst, Ferreira is an angsty Tumblr post brought to life. At her best, like "You're Not the One," she fits perfectly on the 10 Things I Hate About You soundtrack. This is the only song Manchester band Pale Waves has released so far, and it is an absolute bop. The band is signed to Dirty Hit Records, the label behind alt-pop heavyweights like The 1975 and The Japanese House. With shimmering guitar, a genius hook, and Heather Baron-Gracie's weightless vocals, "There's a Honey" gives Pale Waves the potential to be a millennial's version of The Cure. If powerhouse vocalist Tei Shi isn't your new favorite pop star, you need to reevaluate. Her debut LP Crawl Space is silky and dreamy, but proves embracing sensuality and femininity is a sign of strength. The Canadian singer has an endless vocal range and a clear affinity for R&B inspired melodies. "Keep Running" is all about facing your fears, but when it comes to her art, Tei Shi is fearless. Los Angeles trio MUNA unleashed one of the most powerful, necessary records of the year. About U is an unbelievably good album that honestly and unapologetically puts the experiences of the modern LGBTQ+ community in the spotlight. "I Know A Place" reminds us that no matter who you are and no matter where you come from, music should make you feel safe to express your true self.